Extreme Barbie Jeep Racing is like downhill racing a ticking time bomb that could explode at any time. 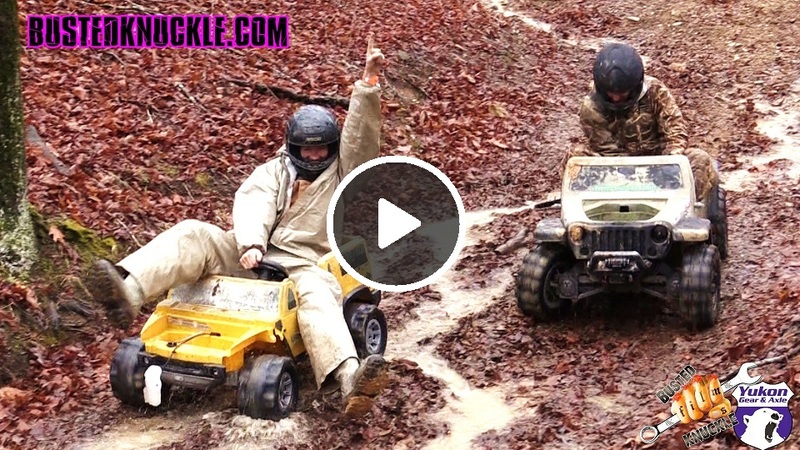 This time we take you to RBD for the Extreme Barbie Jeep Racing 2016 Championship that is held every year at Morris Mountain ORV park in Delta, Alabama during our good friend Ricky B’s birthday celebration. I was back once again to defend my 2 year title with my trusty yellow gator. This time we only had 6 competitors so we went with a double elimination format. Many ask us if these power wheels modified vehicles are stock. We only take the gears out to make them free spin and let gravity do the rest as we go power wheels downhill racing. The course was faster than it has ever been and it made for some insane barbie jeep racing wrecks. I had the worst crash of my 7 year career in the sport. Sadly the Gator did not survive the crash so I had to borrow someone else’s vehicle to race. Lesson learned you should always bring a backup rig. It cost me the championship this time but I will be back to take the title in 2017. Watch it until the end and let us know what you think of the double elimination format and who you thought had the worst power wheels crash of the day. My crash goes to show you that you should always wear protective gear. I walked away from it but was definitely shaken up. Without my compression suit and helmet I wouldn’t have been able to do that. The next few days after the crash I was sore but no worse for the wear. Being 31 years old in this sport might not be the best idea but I won’t let it stop me from doing what I love to do. Stay Tuned as I will be back at it again in 2017. Checkout all of our videos in the Extreme Barbie Jeep Racing Playlist.